Hello Darlings. It's early in the morning and I'm fresh and awake. i just dropped my Mr on the airport and now I'm ready to kickstart the new week to come. I twill be a busy one. On Wednesday I will travel to London for the Decorate Book launch and next week I will start my holiday with a trip to Curacao and the BVI.Oh I must admit I'm so ready for a break. The last months have been hectic and with a lot of changes so I think it is good timing to sit down, relax, think, breathe and feel some sunshine. But before I leave you I will make sure you will get your daily dosis of Urban Style Vibes* inspiration. Today I take you on a trip to Stockholm. 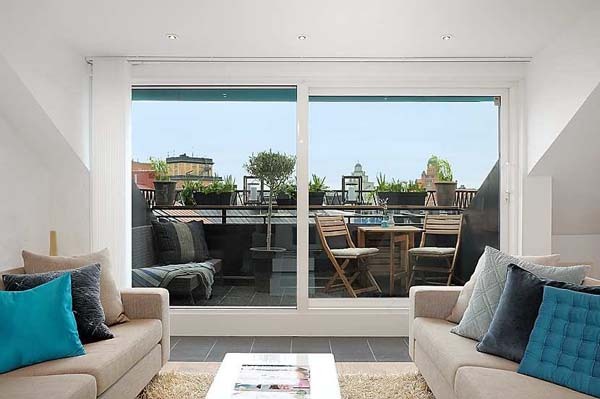 This Urban apartement is located in the Birkastan neighbourhood. 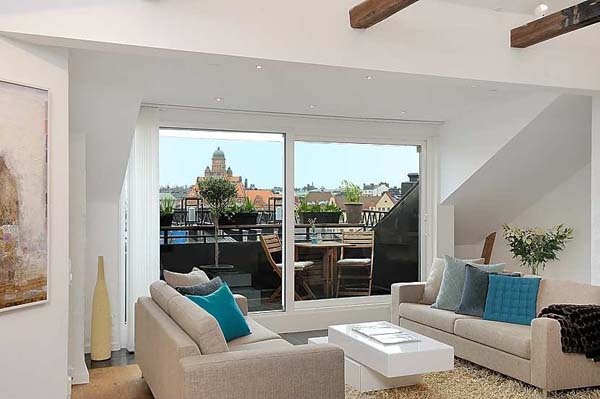 The apartment provides a glorious mixture of styles that anyone would feel at home. I love the wooden beams that and the light from above in the living area. It makes the room so spacious. It also features a gorgeous fireplace for cold winter nights. And last but not least I love the subtle use of blue tones. Image a place like this. Just wonderful! Q. WHAT DO YOU THINK ABOUT THIS PLACE? Your travel itinerary sounds splendiferous. No wonder you are all fired up! 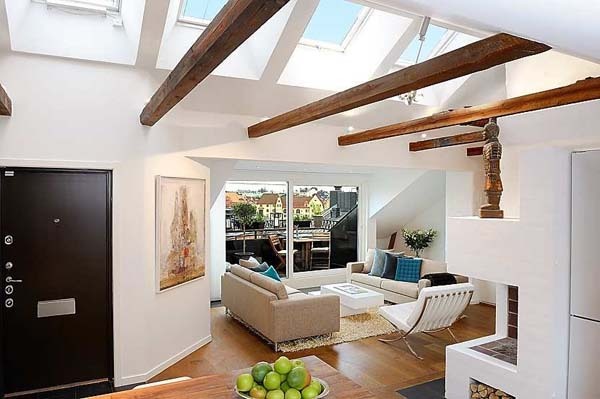 I never stop loving exposed timber beams like these ones ~ perfectly wonderful! 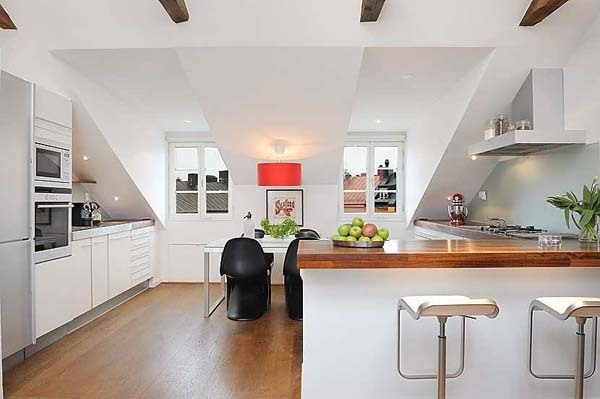 And nice to see timber benchtops in the kitchen too. I could definitely live there! The terrace and wood beams, plus that art near the door, are all amazing! I'll be in touch shortly with my post! Very Urban Living. Cool. But the images looks verrrrry - well, lets say - Photoshopped. Hmmmm ;-) Thanks for sharing. WOW..and lets not forget the black door. Im thinking more and more of painting my door (inside) black...but still need more convincing. Love the mix of white walls, modern furniture, modern view and wood beams. Makes you look twice!